English engraver; born in Exeter 1757; died there 1806. He engraved paintings by Opie, Sir Joshua Reynolds, and others, and was also known as a miniature-painter and scientific optician. His son Solomon Ezekiel (b. 1781; d. 1867) dissuaded Sir Rose Price from establishing in Penzance a branch of the Society for Promoting Christianity Among the Jews. 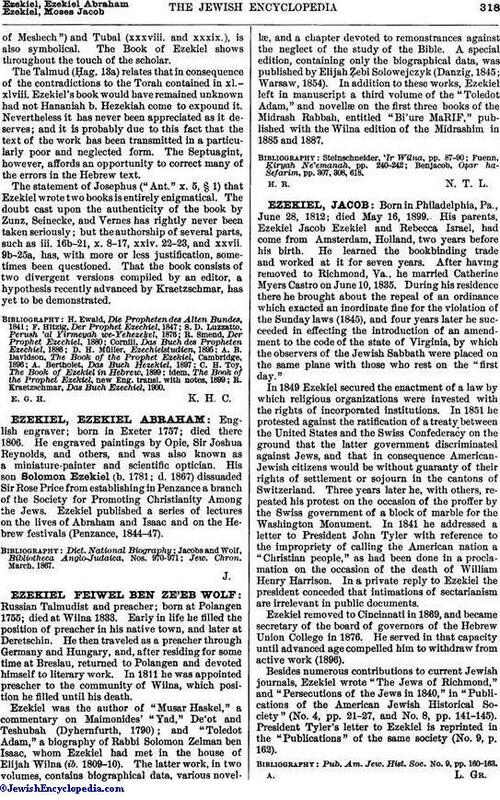 Ezekiel published a series of lectures on the lives of Abraham and Isaac and on the Hebrew festivals (Penzance, 1844-47).